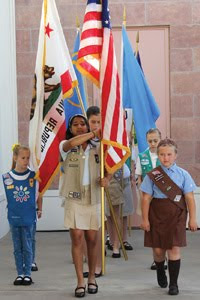 Girl Scouts of Orange County a Most Trusted Brand! OC METRO Magazine, a business lifestyle magazine in Orange County, California, highlights Girl Scouts of Orange County as one of the 10 companies Orange County consumers selected as most trustworthy. The article states that "besides building lasting brand awareness and friendships through its world-renowned cookie drives, Girl Scouts provides the nation’s most successful leadership-development and personal-growth experience for girls ages 5-17. Congrats Girl Scouts of Orange County!